Strike King Coffee Tubes are salt impregnated and scented with real coffee bean granules and coffee bean oil. This natural organic scent is incredibly attractive to fish. It causes them to hold onto the tube longer and masks human and plastic scents. 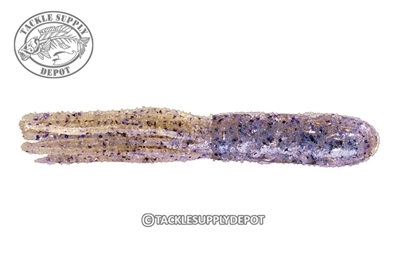 The Coffee granules also give the tube a more natural earth tone tint that mimics the appearance of a bass favorite prey. The tube bait has been around for a long time and as long as bass are on the planet the Tube will continue to produce. The 3.5 inch is best rigged on an internal tube head jig and fished around shorelines to deeper structure. Drag it, Hop it or Jig it; fish will look to start their day with some coffee.